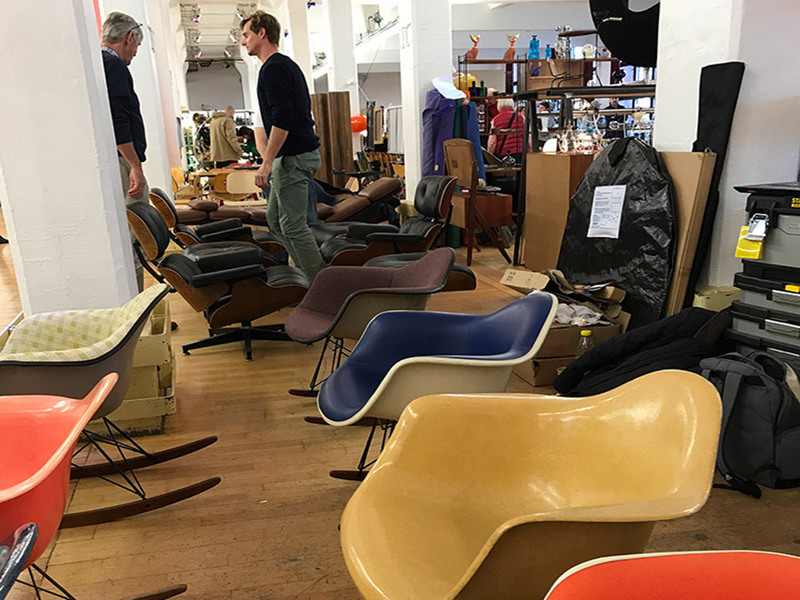 A few of us at Eames.com have just got back from Germany, and although it was a busy weekend, we couldn't wait to get back and tell you guys about it all! 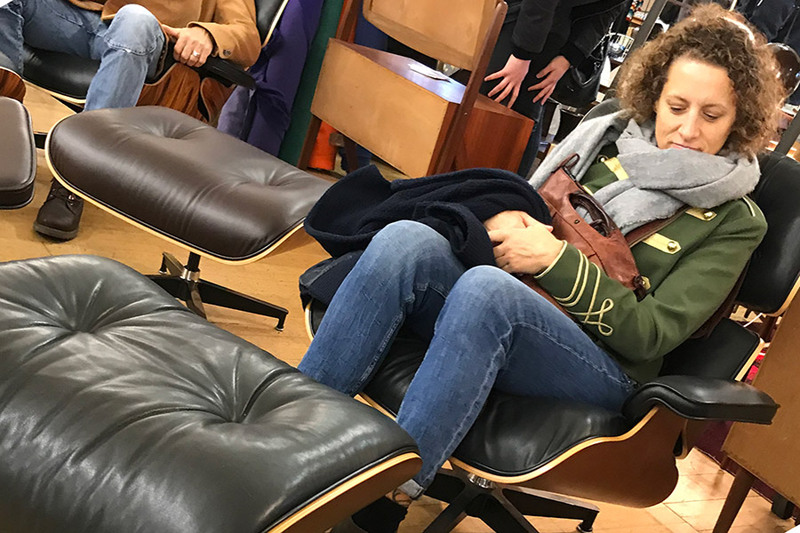 If you read our blog post from last week, you'll know that we were going to be attending Design Börse Berlin 2018. We said that we would give you guys a full breakdown of the event once it was over. From the Atmosphere to the popular products we took and just the initial experience of the event. 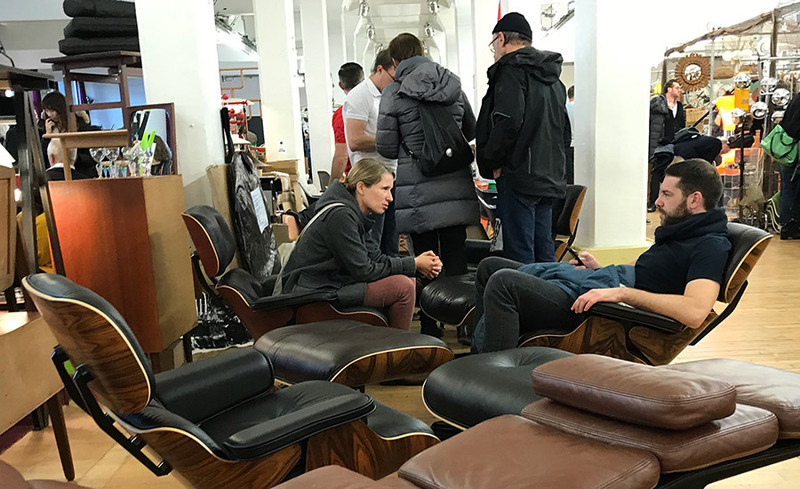 Design Börse Berlin, a trade show that hosted many exhibitors from Germany and various countries around Europe, who all came to showcase their vintage items to the thousands of visitors that came to the event. 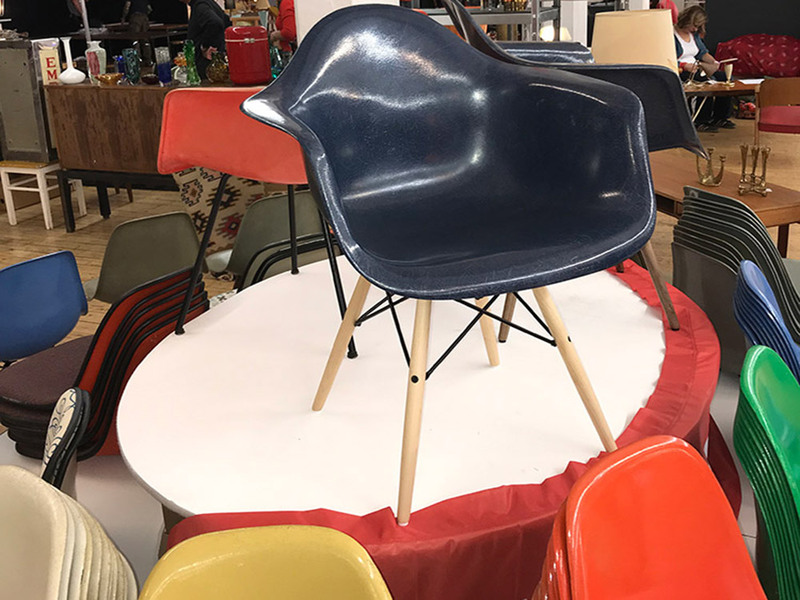 As we mentioned in the previous blog post, the event was well known for how diverse it was, regarding the types of vintage and design products that were there, and that statement definitely delivered! 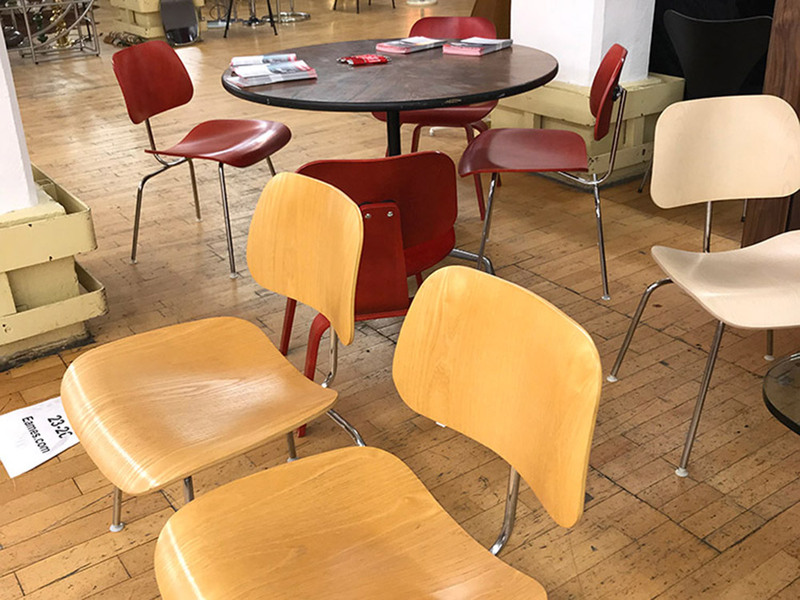 We hope that this blog post will encourage you to come and see us at other events that we will be attending all over Europe in the coming months. 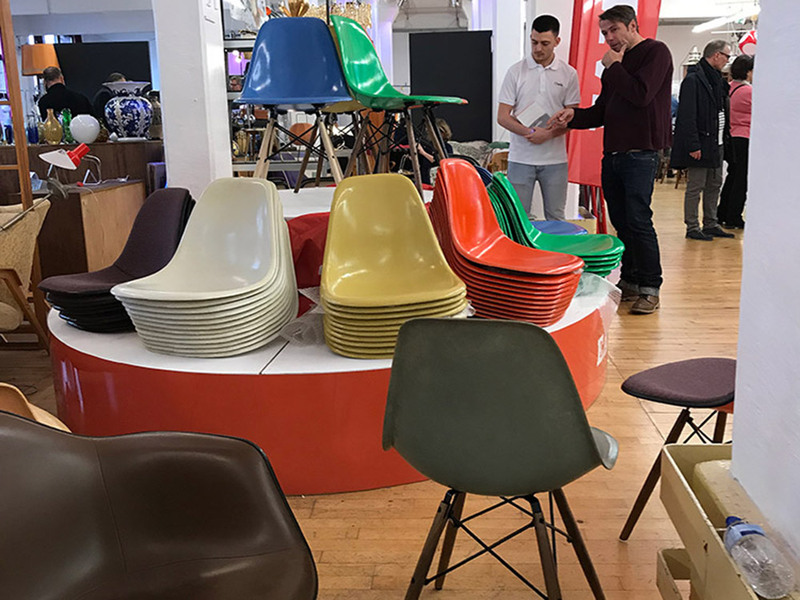 Planning for the show was key for Eames.com, as we had to make sure that we took the pieces that were the most popular. 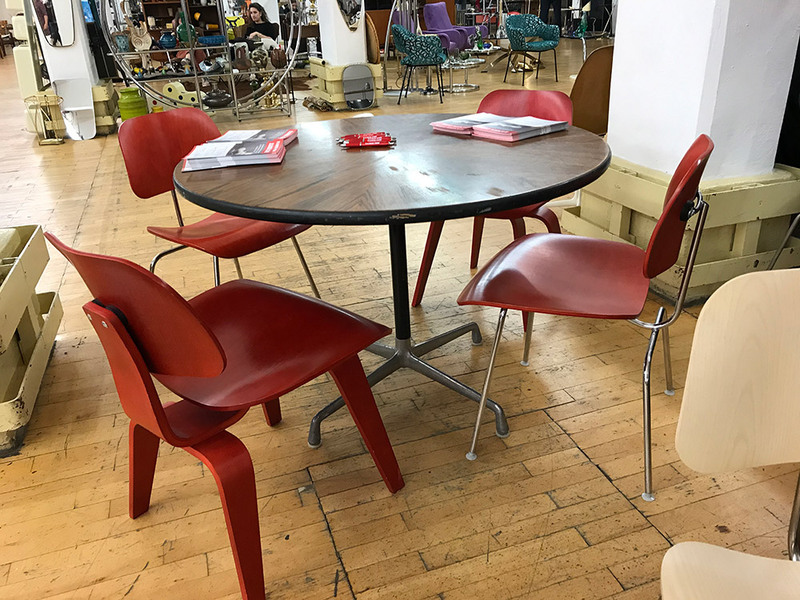 The pieces that you guys took an interest to, all over our social media pages. Once we arrived, we set up our stand amongst the other traders that were there, and it wasn't long before the previews had started and we had attracted a lot of attention. Thousands of visitors attended the show from the Friday previews through till late Sunday evening. 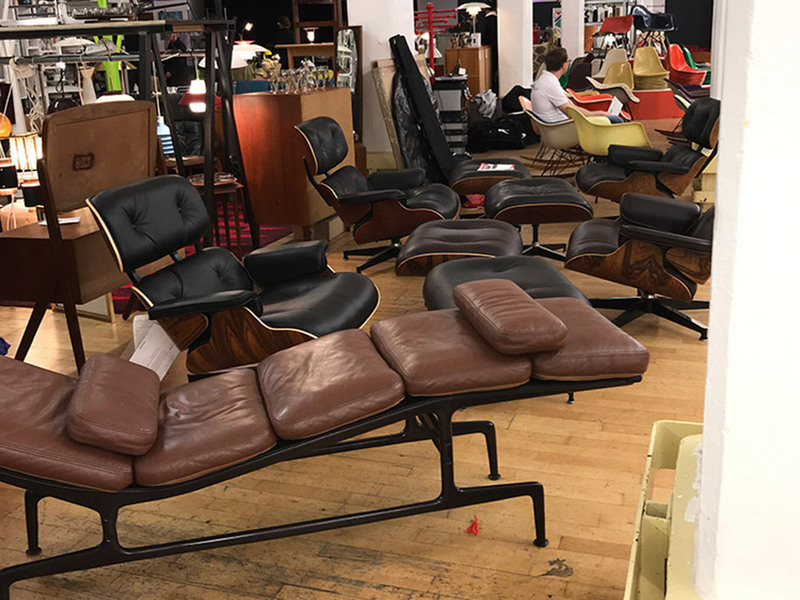 Some people were vintage collectors, whereas others were just there to embrace the atmosphere. Regardless, we ensured that we engaged with onlookers as well as people with genuine interest. Our stand for the fiberglass shells turned a number of heads from the get-go of the event. Not only because of the way we displayed them but because of the variety of shells that were on display. 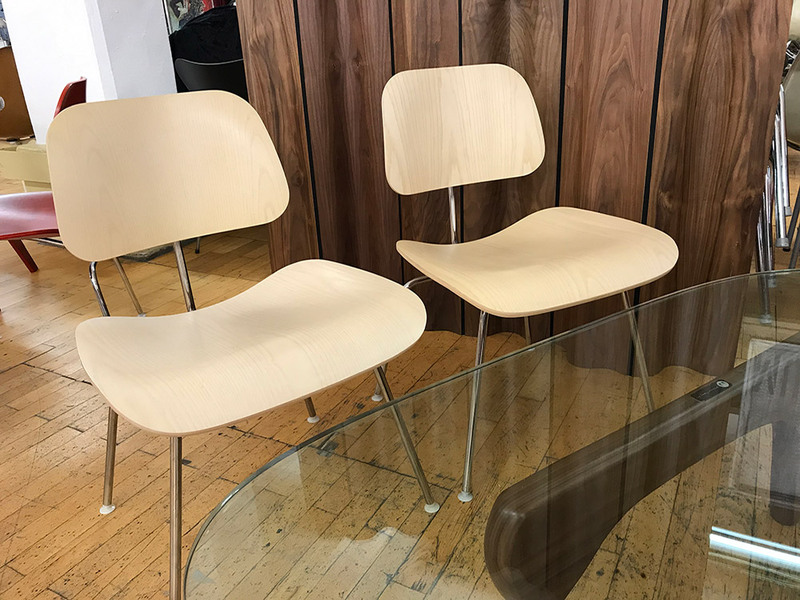 It was fascinating to explain the differences between each colour as well as talking about the different factors of the product, such as the year it was made and the idea behind the creation aspect. 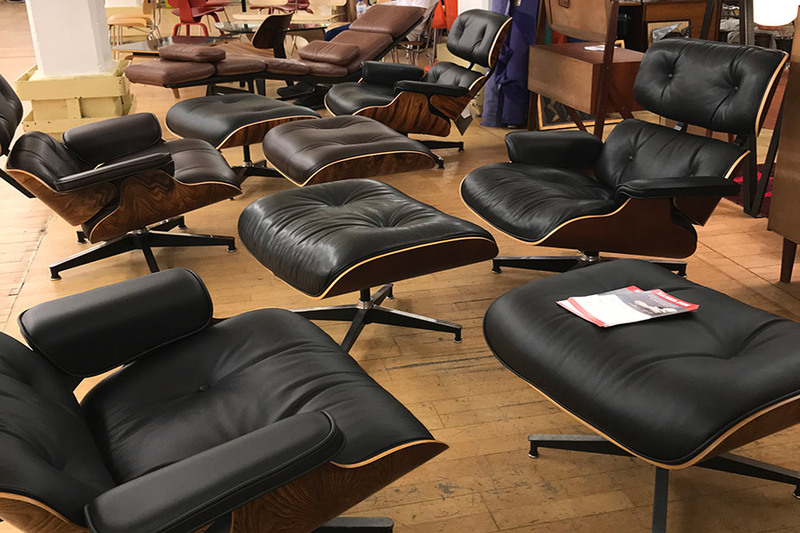 In addition to the variety of shells that we bought along to the event, we also bought a catalogue of lounge chairs and ottomans. Visitors flocked to the Lounge chairs after having walked around the event. 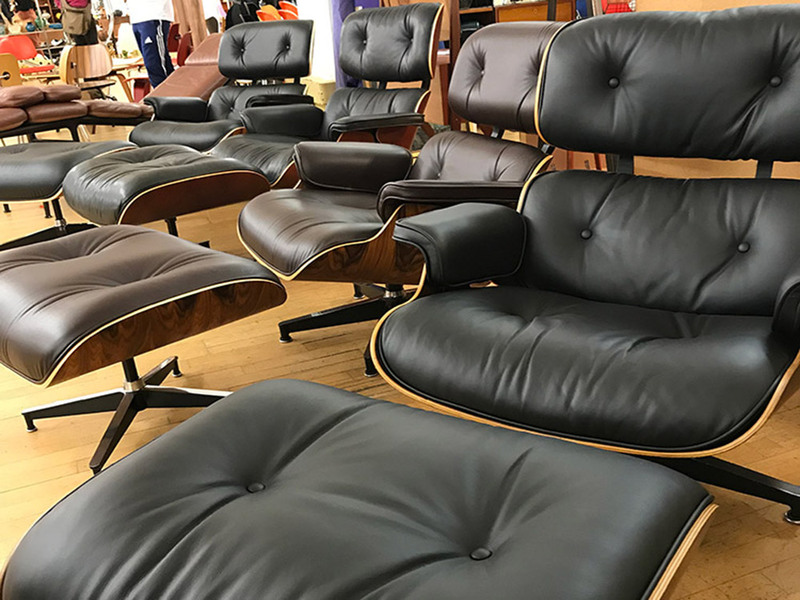 When we said "As soon as you sit down on the Eames lounge chair, you will not want to get up", we meant it. 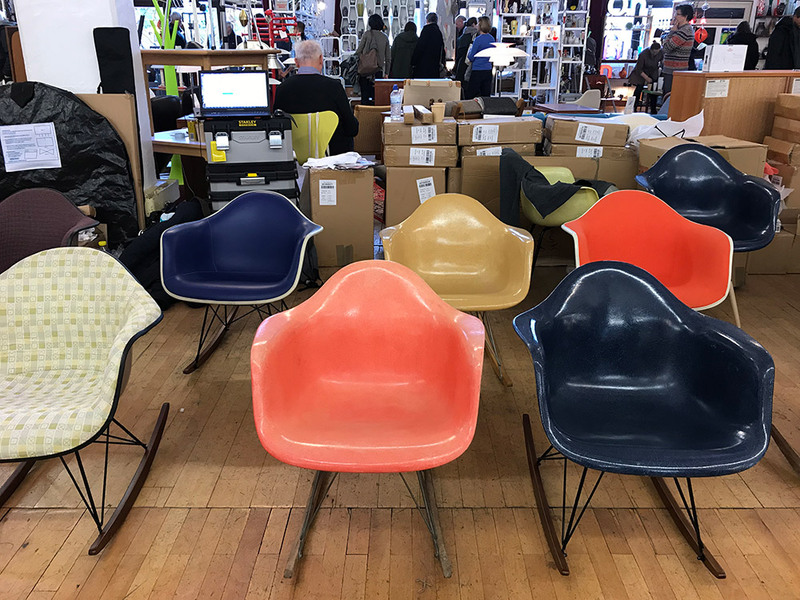 A benefit about coming to an event to purchase items such as Eames furniture is being able to try out one of these pieces before you decide to take it home. It will only reassure you even more about how comfortable each piece really is. Click the Arrows Below to go Through the Gallery. 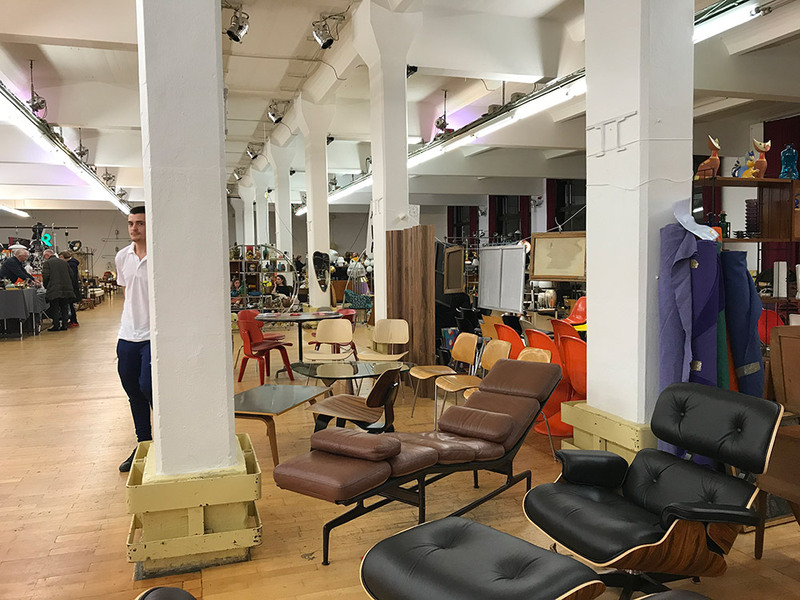 Our objective at Design Börse Berlin was not only to share the amazing pieces that we bought to the event but it was also very important for Eames.com to educate each visitor on why each piece of furniture has that sentimental value that it does. That way, you walk away with the items that you want, along with gaining knowledge of what it is that you have bought. This is the first of many trade show events that we are planning to attend. We know that a lot of you who follow us on social media and also a lot of our buyers and sellers are from Europe. 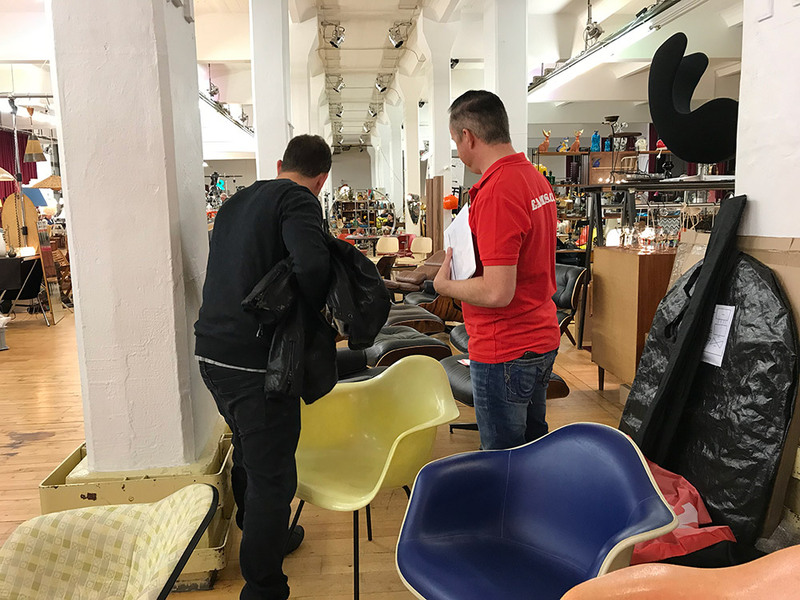 As a result, once we confirm our next location for an event, we will announce it and provide information on how you can also come to see the items that you see on social media, upfront and close. They look great through a screen, but take our word, they look a whole lot better in person. Come to the next trade show, if you don't believe us! 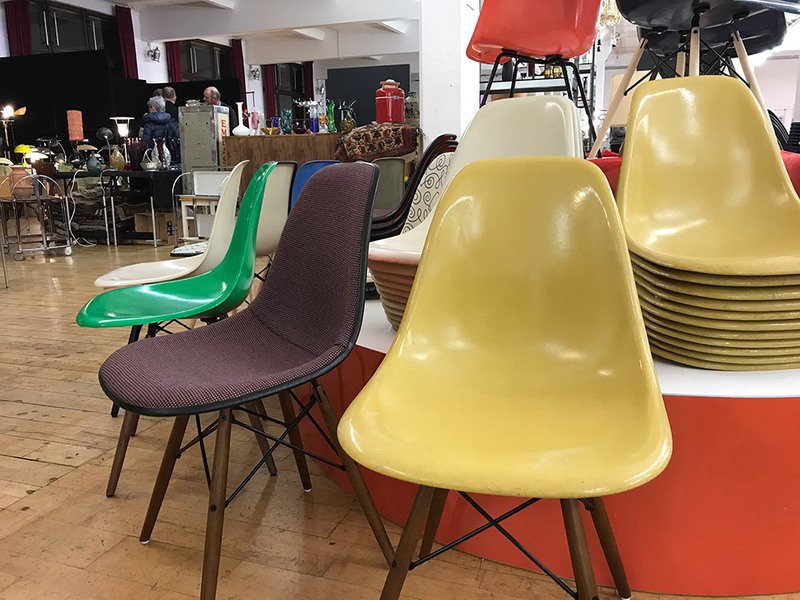 And if you like vintage trade shows and the atmosphere of walking around and looking at amazing antique pieces, then this is the type of show for you.